Keep your teeth white, bright and sparkling at the Eglinton West Dental Centre. 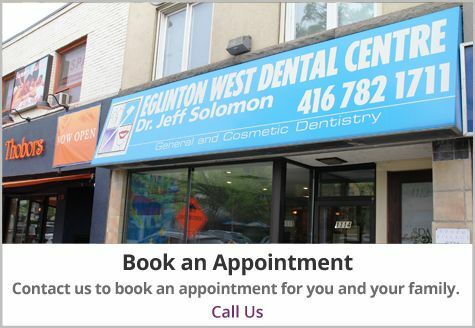 From our Toronto dental office, Dr. Solomon and his dental team soothe the nerves of anxious patients, while providing gentle and thorough oral care. We provide dental maintenance therapies and offer services such as restorative dentistry, root canal treatment, implant restorations and more, while also providing the personalized service only a small clinic can offer. Make sure your teeth and gums stay their healthiest with regular cleanings and check-ups at Eglinton West Dental Centre. Our dedicated team will perform regular cleanings, and provide periodontal health screenings of your teeth and gums so they stay strong. One of the achievements Dr. Solomon is proudest of is that he has provided treatment to four generations of families visiting his practice during the same time. Kids and their parents and their grandparents and their great grandparents all have their dental needs provided by the Eglinton West Dental Centre. 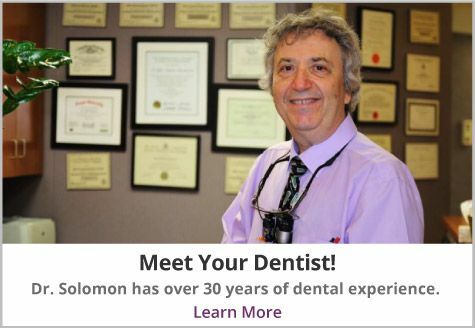 Since opening his practice, Dr. Solomon has continued to upgrade and expand his dental education in Canada, United States, England and Europe. To book an appointment, give us a call today.